SolarTech Universal, a solar panel manufacturer in Florida, is planning to launch an enhanced photovoltaic system in the coming years. This new solar panel uses heterojunction technology and SmartWire hardware that reaches 24 percent efficiency. Their goal is to provide the highest level of efficiency and quality when traditional options continue to go down in price. SmartWire hardware is the reimagination of busbars on the front side of a solar panel. Busbars are the metallic strips of conduction material that traditionally were in sets of three or four. Meyer Burger, a company specializing in semiconductor technology and who made the hardware, states it increases efficiency itself by six percent while keeping costs down with less silver being used. A number of other manufacturers have been pursuing solar panels with a higher amount of busbars and manipulating how they’re placed. 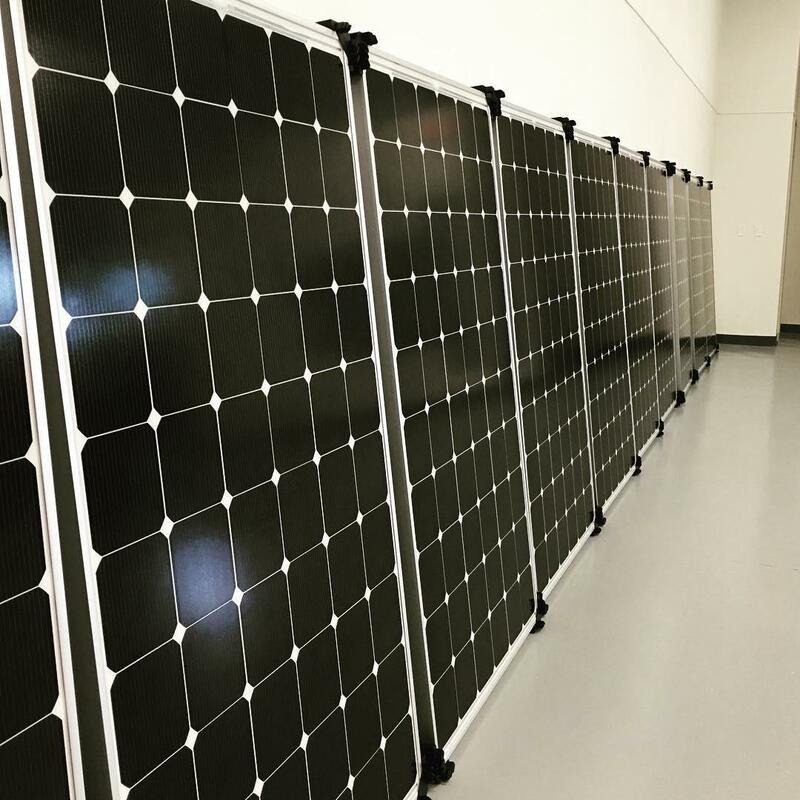 SolarTech Universal has been using the SmartWire technology to debut a 334.9-watt panel that featured an average of 23.5 efficiency with a maximum cell production of just over 24 percent. These heterojunction cells don’t have traditional busbars with SmartWire technology. That panel is a “champion module” in SolarTech’s Quantum Series and is expected to be released next year. There are options available for residential and commercial buildings and maximizes space by using 60 cells instead of the normal 72. Without busbars, this also provides higher efficiency thanks to less shading and less microcracks. There are five layers to the Quantum Series panels. A large glass that’s 94 percent transparent sits on top of two encapsulants that sandwich the 60 cells. These encapsulants are water repellant layers that reduce corrosion of the cells. A backsheet also protects the product from moisture as well as ultraviolet absorption. Both panels will feature either heterojunction and PERC (Passivated Emitter Rear Contact) technology. What’s the difference between these two? PERC adds a layer to capture more energy, forcing light to reflect inside and prevents electrons from blocking its flow. HJT generates power from either side as it’s a bi-facial cell. Ultimately, SolarTech wants to move all their panels to the latter technology in the future. Even though PERC technology is just hitting the solar market on a large scale, Meyer Burger believes that HJT will replace it entirely. Based on their simulations with a 100-kilowatt photovoltaic system using different technologies, HJT was the winner with better efficiency, more energy yield, and lower system costs. With traditional solar technology costs coming down significantly, this has paved the way for more premium models like SolarTech’s Quantum Series. It’ll be interesting to see how competitive these enhanced options perform in a rapidly growing market in the solar industry.